This collection of vegetarian bean salad recipes are perfect sides for summer. Bean salads are great to bring to your next outdoor picnic or potluck. They can be made ahead of time, are easy to transport, often include pantry staples, and feature relatively inexpensive ingredients. 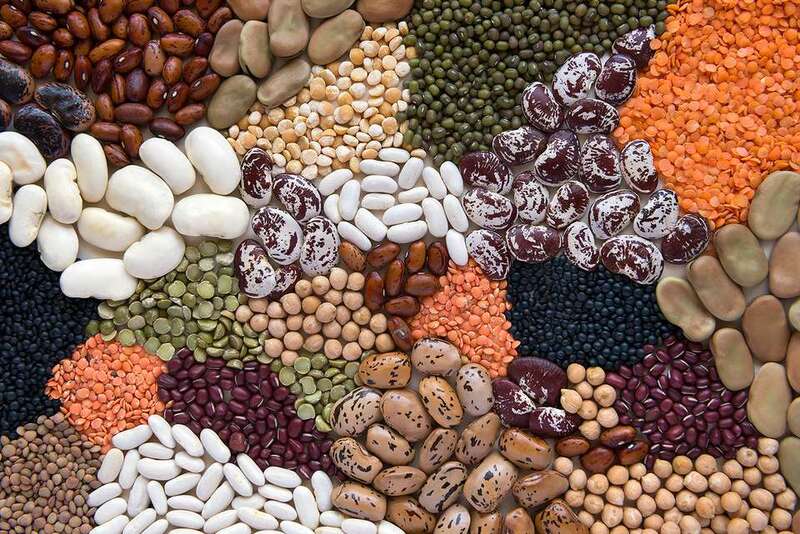 With a wide variety of flavor profiles, bean salads are healthy and high-protein vegetarian or vegan side dishes. They can also be enjoyed as is for a nutritious, low-fat, and high-fiber summer lunch. For a full meal, try pairing the salad with a grilled protein. Most of these recipes call for canned beans, which should be quickly rinsed prior to use. You can also cook dried beans and use those. They take time to soak and cook, so plan ahead if you are using this method. If you are looking for other salad ideas, think about green salads, pasta salads, and fruit salads for your next summer party. 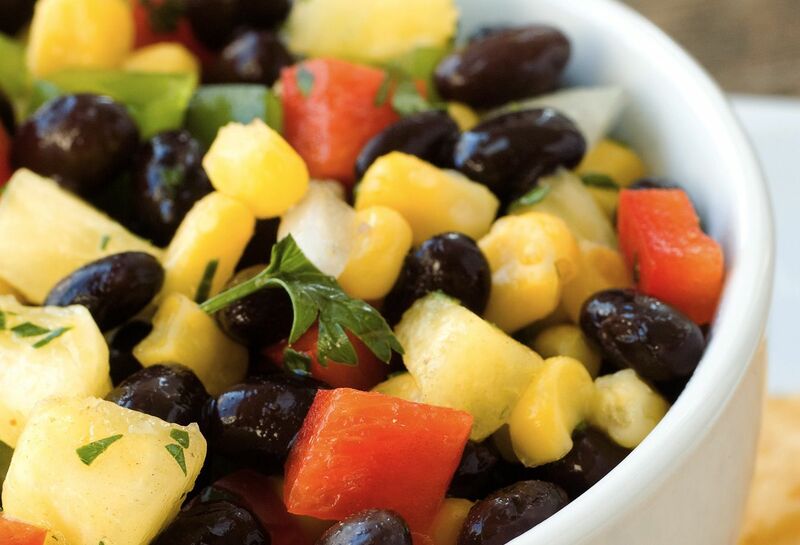 With fresh mango, this easy bean salad recipe is perfect on a hot summer day. It's inspired by the flavors of Mexico and includes lime juice, fresh cilantro, and a jalapeno. If you want to tame the heat a bit, just omit the jalapeno. Once you've ​diced your mango, this bean salad will take you just a few minutes to prepare. Use any white beans that you like in this simple vegetarian white bean summer salad: cannellini, navy beans, butter beans, or chickpeas would work well. This bean salad travels well, so pack it up and enjoy it on a sunny day. A simple but tasty black bean salad, this is flavored with lime juice and cayenne pepper for a Southwestern-style dish. Use fresh ingredients for the best flavor. To reduce the fat in this bean salad recipe, add just a tablespoon or a drizzle of olive oil, instead of the full amount. This salad is a great way to use summer corn. If you ever have leftover corn, cut the kernels off the cob and freeze them in a ziptop bag. Once you have enough, use the corn in this salad. If you are including the optional avocado, try to add it right before serving to prevent it from browning. A meatless bell pepper and bean salad, this vegetarian and vegan recipe are great for picnics, potlucks or barbecues, especially if you've got lots of bell peppers growing in your garden or you have some leftover to use up. This colorful dish is made with red, green, and yellow bell peppers, diced red onions, black beans, fresh cilantro and a red wine vinaigrette. Grape salads provide an unexpected juicy snap to a light lunch or side. The make-ahead dish is great for a summer barbecue, picnic, or potluck. This vegetarian and gluten-free salad is made with garbanzo beans, kidney beans, white beans, cucumbers, and grapes. If you want to make this bean salad vegan, use agave nectar instead of honey and regular mustard instead of honey mustard.